*Update: Since this question was originally asked in April 2011 the landscape of the industry has changed dramatically. 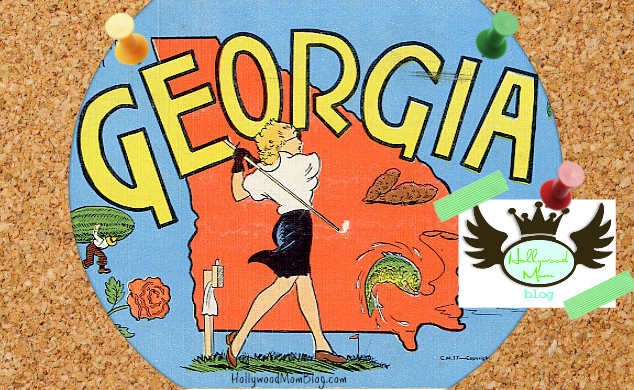 You no longer need to leave Georgia to pursue a career in film and television and we advise staying put! 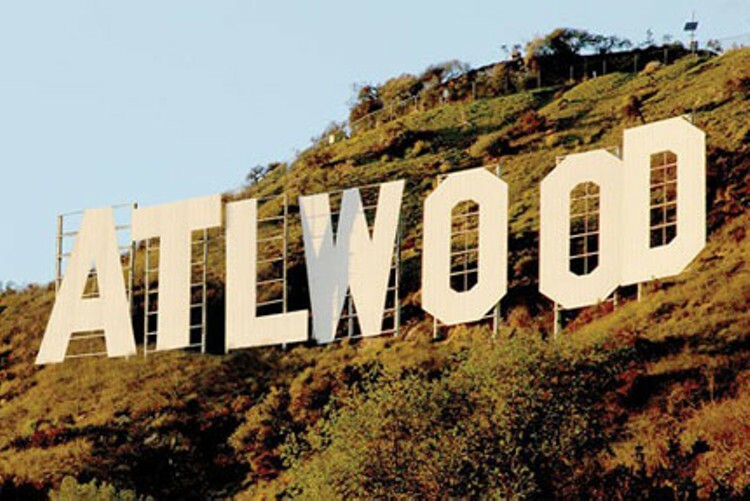 In 2014, Georgia out-did California for film and television production. Did you get that?! Georgia became the new Hollywood. Can you please tell me, who are the Kids Talent Agents Atlanta Georgia? [your] site. Now we have to come back [to Los Angeles] because he is hooked. I have submitted his resume and photos to online services. Any suggestions you can offer would be much appreciated. As the editor of Hollywood Mom Blog I’ve learned of several Top Kids Talent Agents Atlanta, GA over the years, and will list them for you here. However, please do your due diligence as a parent and check each of them out throughly. You will also need to verify which agencies best represent children and in what capacity, for instance theatrical, commercial, print, etc. I would also like to point out that many professional child actors hail from the southeast. Just this week, I interviewed child stars Bailee Madison (Florida native) and Ciara Bravo (Kentucky native) and they both started their careers in their home states. Thanks to technology, there are more opportunities than ever just staying put in your local market and many professionals will advise young talent not to come to California until it’s absolutely necessary. *Atlanta Models & Talent, Inc.
Richard S. Hutchison Management, Inc.
Look up Sag-Aftra Franchised Agencies here. Thanks for this list, it helped me get a head start on sending out some feelers. However, when I researched a few of the agencies on the Secretary of State website, many of them were coming up as having been dissolved (Babes N’ Beaus), revoked (Glyn Kennedy), or withdrawn (Elite). Will you be updating this page in the near future? Good to know Lynette. We’ll update our main list of agents (Link located at the top of the home page) very soon! Did you find any new agencies in your research? Babes N Beaus is still around. My son and I are currently working with them. The Atlanta modeling landscape is very limited and has been for quite some time. The best way to know if an agency is reputable is through word of mouth. If you must go to the agency first, just know that legitimate agencies don’t ask you for money to get started. Agencies get paid a commission AFTER they’ve gotten you work. I am a former model and have opened an agency here in Atlanta, we see more opportunities for actors than models. Just became aware of another that seems to be attracting a lot of attention in Atlanta. Atlanta has an okay stream of print and commercial work, but it’s really all about the film and television productions. Becoming huge! Hi, I am taking my 12 year old twins and moving to Atlanta in March. Could anyone suggest a place to live that is short term and around a good acting school. I need some place safe, but not necessarily in a high rent area due to schools because they are home schooled. Look on Facebook for the group Gypsy Housing East Coast. They have listings all over Atlanta. Thanks a lot for the list. It is a lot of help. I need to know about agencies in other then atlanta, ga. I have seen a lot of bad reviews in regards to john Casablancas, often stating that the “real” agencies laugh at talent that comes from there! Any comments? My daughter did an audition there, but I don’t want to be scammed. THANKS! I have three children and would like to get them all in at the same agency if possible but their ages are far apart, is this realistic or should I separate them? My oldest is my stepson who will be 13 in July, a daughter that is 5 and my baby boy who is 18 months. I modeled very very little when I was around 8-12 years old and do not remember much so any help or suggestions are very much appreciated! Also in response to Heathers question about John Casablancas, I hope this isn’t to late, but I did that same “audition” about 20 years ago!! I have no clue how they are still around or if they have changed but in my experience it was all a scam. I remember they made me feel like I was going to be the next big thing (with just a few classes from them, of course ) and that I was the most beautiful little girl they have ever seen and they would be so lucky to have me with their agency! After a long day of hair, make up, outfit changing and walking the runway I was on top of the world and my mom was thrilled to see me so happy……until the “office” talk where they tried to sell my mom packages. The more money she gave them, the faster and easier I would become famous!! Luckily you sound smart like my mother and got outta there! The only thing I know of and have heard of having to pay for (modeling) is a photographer, of your choice, to create your child’s portfolio/ head shots to send to a reputable agency! Again this was 20+ yrs ago and they might have changed, but that was my experience with them. Good luck and thank you all in advance! To answer your question, you can of course try to get all 3 children into the same agency but that may not be realistic or even beneficial. In addition to the wide spread age range, you also have to consider what each individual agency has going on, for instance, are they currentlyy representing a child (or children) who is too similar to one of your kids? Would this create a conflict? Do they even represent toddlers? Some agencies have a minimum age. Since you’ve posted this question on the Atlanta Agents page, I’m assuming you’re located in or near the Georgia area. If having your kids all represented at the same agency is that important to you, I would suggest you submit with those agencies that handle both acting and modeling, as they would be more likely to take on a toddler. Toddlers, unless they are multiples, tend to primarily do print work. Multiples have the commercial and theatrical on lock down for those early years. Good luck! Can I get any suggestions if possible for any legitimate agencies to get my 9 yr. old son started with? He has a pretty good singing voice and loves to be an entertainer. I am looking for something as close as possible to Virginia or NY….Many thanks!! Please refer to our national list of talent agents: http://hollywoodmomblog.com/resources-for-child-actors/talent-agents-kids/ FYI, Many in our Facebook groups use Abrams in NYC. I have a 13 year old who is interested in commercials & modeling. She is working on her resume but we are located in an area that is not diverse. With technology as it is, I am wondering if it is a better idea to try to get her into an agency in Atlanta. I realize it may involve travel, but I don’t feel she will get an opportunity unless we expand our search. Is it possible to find an agency willing to represent my daughter? Hello I am a momager here in Atlanta Ga I was wondering is it even possible to represent my kids myself to get into BIG castings without them being represented by an agency? or do you any legit casting info for Atlanta area? Thank you in advance! Thank you so much …..I will look into it!